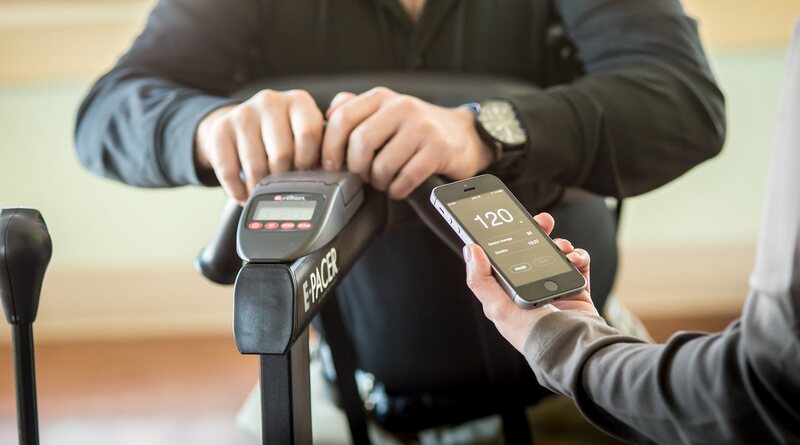 The E-Pacer is an exciting new addition to the Pacer family. 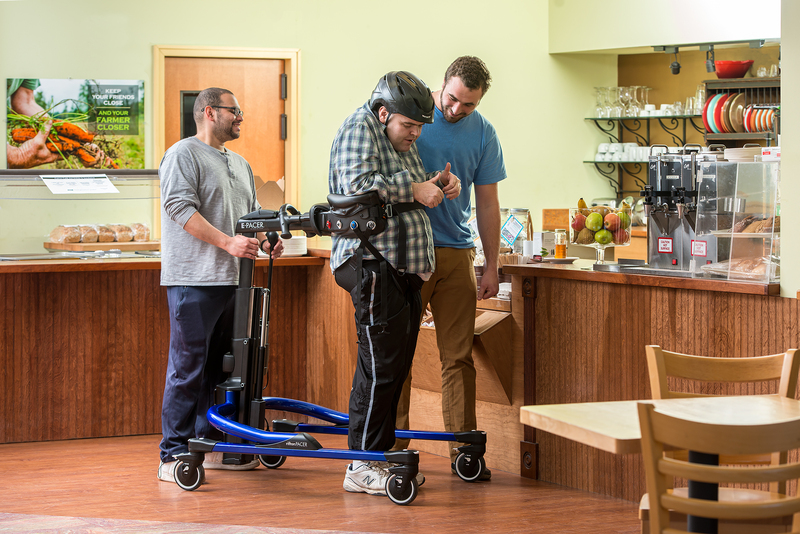 Its sit-to-stand lift functionality removes a major barrier to gait training with large or highly dependent clients. 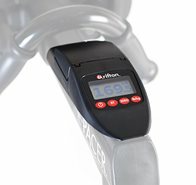 With the scale you can weigh your clients during routine transfers. You can also measure the weight they’re bearing during gait training. 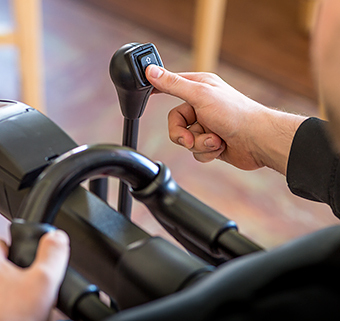 And when the scale is paired with a tablet or phone via Bluetooth, Rifton’s new Gait Tracker app can track your client’s weight-bearing progress. Note: The scale must be included in the original purchase. It cannot be added later. No more counting tiles on the fl oor! 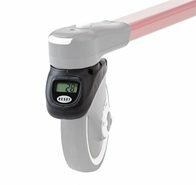 The odometer makes it easy to record how far your client walks, in feet or meters. 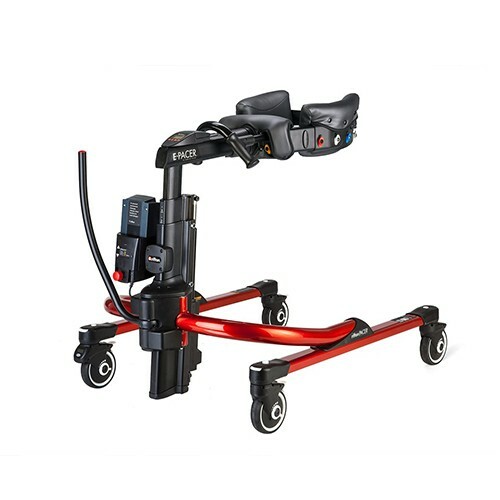 The front handle allows a caregiver to maneuver and guide the E-Pacer. 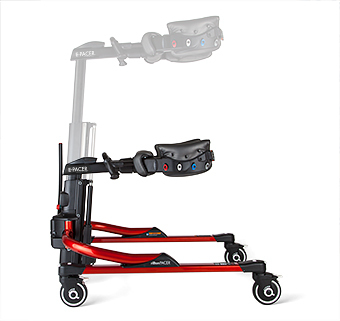 It includes an up/down switch to adjust the height of the body support. 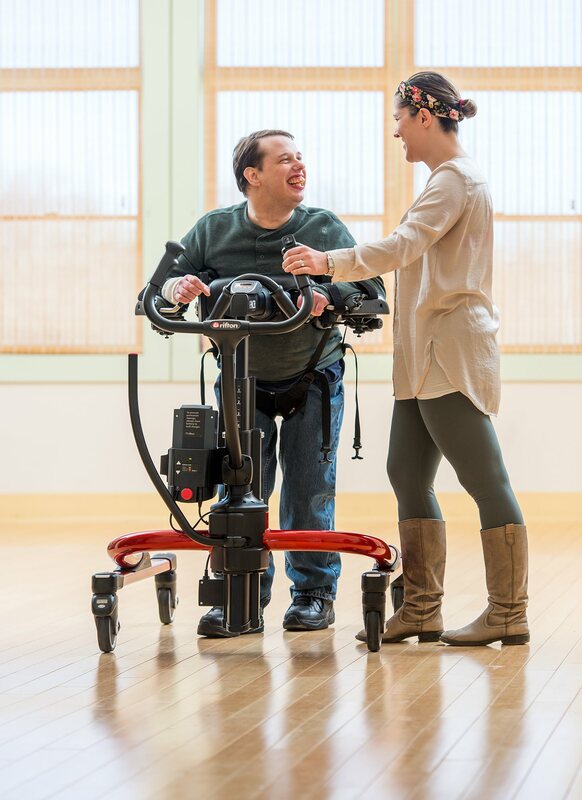 The switch pole lets a caregiver operate the electric lift without bending down (when not using the front handle). It can also be turned around to give the client control of the lift. Arm prompts/forearm supports are used to give extra lifting support for clients who have low tone or for clients who need their arms secured. 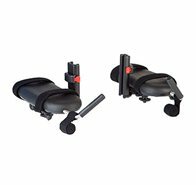 The supports allow adjustments in every direction and angle to accommodate numerous positioning requirements. 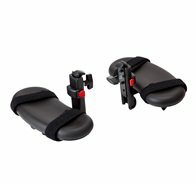 Padded surface area: 4½ x 7" Range of adjustment (elbow to fist): 8 – 12½"
Arm prompts/forearm supports are used to give extra lifting support for clients who have low tone or for clients who need their arms secured. 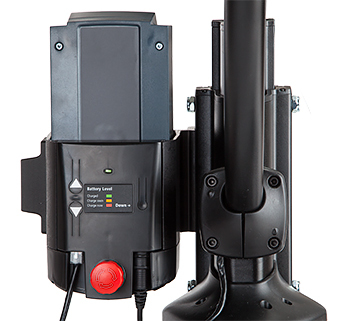 The supports allow adjustments in every direction and angle to accommodate numerous positioning requirements. Padded surface area: 5 x 8½" Range of adjustment (elbow to fist): 10½ – 16"
Designed to achieve the best position for gait training. 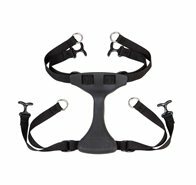 The key to optimal positioning is the placement and length of the four attachment straps. 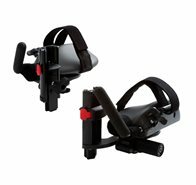 The unique, suspended design of the hip positioner permits the natural pelvic movement and lower extremity weight-shifting that therapists want to see in their clients’ gait. 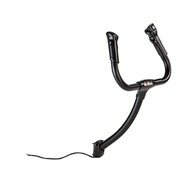 crotch length and width: 2½ x 1¼", overall length: 9"
Designed to achieve the best position for gait training. 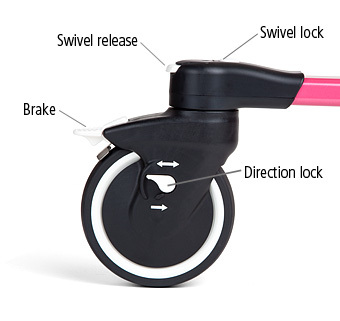 The key to optimal positioning is the placement and length of the four attachment straps. 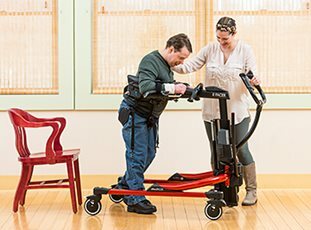 The unique, suspended design of the hip positioner permits the natural pelvic movement and lower extremity weight-shifting that therapists want to see in their clients’ gait. 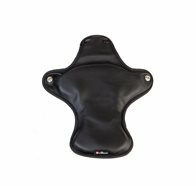 Key dimension: half of thigh circumference 8 - 14"
The hip positioner pad, provides cushioned comfort. Used with the large hip positioner. 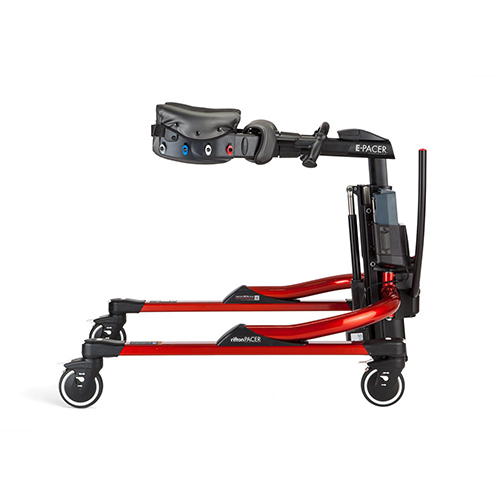 The carefully engineered, telescoping lift column gives the E-Pacer an amazing range of adjustment. 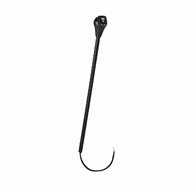 It can be raised high enough to support a 6'5" walking client and then retract down to 32¾" for compact storage.